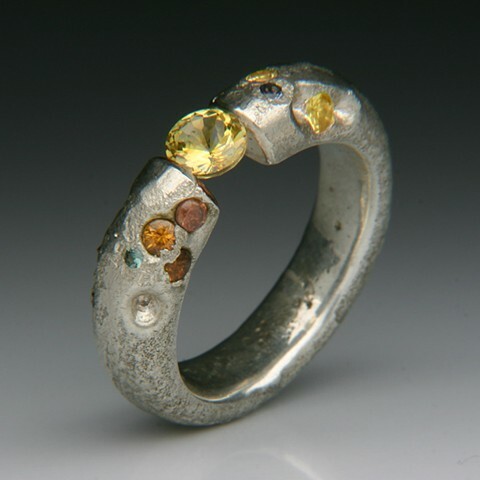 Ophiuchus Tension Set Yellow Sapphire in Silver Ring with Sapphires. 1" x 1" x .24"
This ring has 10 accent Sapphires. The tension set stone in the center is a .70ct 5.45mm stunning yellow sapphire. please convo me about sizing; this ring cannot be size. I can also make one with Diamonds, Rubies, Emeralds and or Sapphires at an additional cost.